Last summer my family and I took a trip to the Finger Lakes area of New York. On the way back from the trip we drove through Pennsylvania and noticed a new large building off of the highway. My son said he saw tubes of water slides sticking out of one of the buildings. My daughter noticed the name “Kalahari” in large yellow block letters. 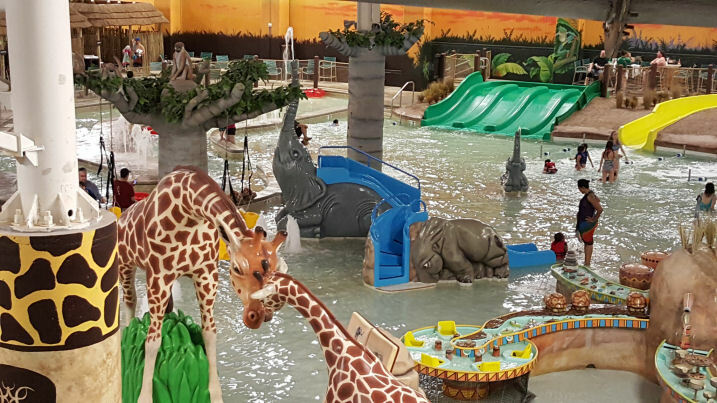 With this information I googled “Kalahari Water park” and found out that it was actually a water park resort with a convention center attached. At the time we passed it on the highway it was newly opened. When my kids found out it was an indoor water park the first question they asked was, “Can we go there?” Having just come from another water park my husband and I both looked at each other and said in unison, “Not right now.” Of course our kids were just being kids and they haven’t yet realized that parents are not walking ATM machines. We did agree that we would definitely check it out at some future date. Well that future date was this past week during the kid’s mid-winter recess from school (President’s Day week). We booked a mid-week stay for the nights of Tuesday and Wednesday. 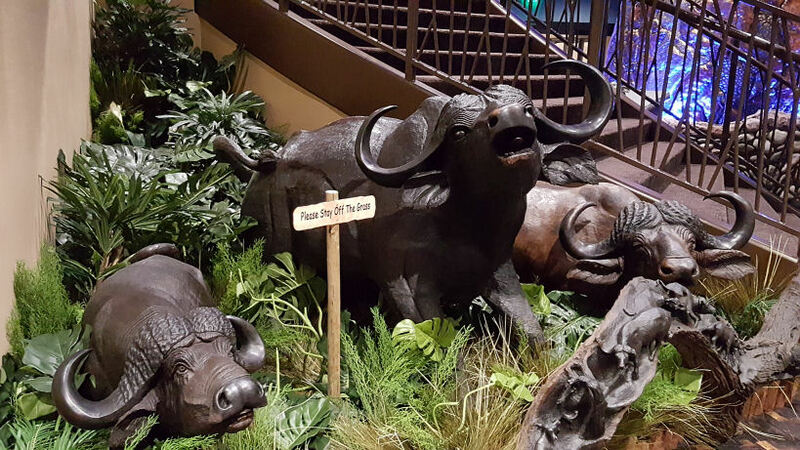 We left Tuesday afternoon from NYC and arrived at the Kalahari Resort around 3:30 pm. The long driveway approach to the resort reminded me of the long entrance to Disney World. Even though it is winter and the trees are devoid of leaves it still had this magical feeling to it. As we got closer to the resort we noticed a frozen pond that was fed by two almost frozen waterfalls. 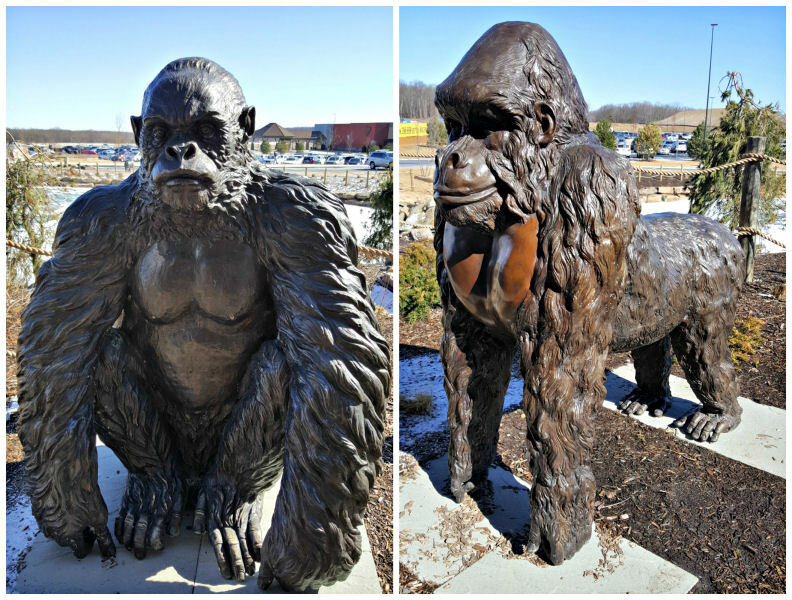 Surround the pond were bronze and metal sculptures of various animals you would expect to find in Africa. We pulled up underneath the arrival area so my husband could drop me off for check-in. When I got out of the car there was an African tribal music playing from above which added to the adventurous feel. We checked-in with ease and got our room keys/water park bracelets. The room keys would be worn around our wrists and they would give us access to the water park as well. My husband dropped off some of our bags and went to find a parking spot. The kids and I went into the resort and eagerly went up to our room. On the way there we noticed several cafes, restaurants and shops in the very busy lobby. The elevators were very fast and before you know it we were walking towards our room. Throughout the hallway there are beautiful pictures of places in Africa. My daughter noticed that the room numbers are placed on a wooden plaque that is in the shape of Africa. The room was large and well appointed. There were two Queen beds and a leather pull out sofa bed. The only thing I didn’t like about the room was that the bathroom sink was out in the open, separate from the toilet/shower area. I also would have liked another dresser and a small table (Below please check out my video of the room and water park in action). When my husband got up to the room the kids were already changed into their bathing suits and ready to hit the water park. He changed as well and we headed down to the park. I have to say we have only been to one other indoor water park before and this one was so much bigger and better. There was a lazy river, 6 big water slides and several more for little kids, a surf wave rider, several heated pools and Jacuzzis, and outdoor heated pool, a pool bar for adults, a basketball water court, and several large areas for smaller children. I may have missed some things so make sure you check out there website. We were also told that another huge addition to the water park is under construction. The inside of the water park was well lit, clean, and warm overall, although some areas were a bit cold. The staff, which was mostly lifeguards at the various rides, were very professional and courteous. As a matter of fact everyone at the resort that we encountered was very friendly and accommodating. The water park was definitely fun and didn’t grow old on us. The lines for the water-slides moved pretty quickly. I think the longest we waited online was about 15 minutes. And about 40 minutes for the surf wave rider, the ride is called FlowRider. Tip: if you really want to ride the Flow rider, go stay in line towards the evening, there will be less people. They have some really fun and amazing waterslides. Our family favorites by far were the 4-person raft slides, which were fast and mysterious. I say mysterious because parts of them were in the pitch black. When those water slide tubes went outside of the building and it was nighttime you couldn’t see what was coming. I suggest you hold the handles very tight. My husband found that out when he first rode the 4-person slide with our children. My son told me that he screamed like a little girl when they went backwards down the first drop of the slide. Another one of our favorites was the lazy river. It went around the interior of the water park in a serpent like fashion. The pace of the lazy river was perfect and the placement of several water falls and caves added to the fun. Overall our experience with the water park at Kalahari was very fun and exciting. The next day we dined in at one of the several restaurants at the Kalahari Resort. We chose the breakfast buffet and were treated to a wide assortment of dining options. There were 7 to 10 different type of egg dishes, fruits, cereals, pancakes, waffles, French toast, pastries, breakfast meats and more. The food overall was good and fresh. However I would recommend pacing yourself. It is easy to overstuff your belly when it is an all you can eat buffet (About $16 for adult and $8 for kids under 12). After breakfast we rested for a bit and then headed back to the water park. Aside from a one-hour break for dinner (we skipped lunch) we spent the whole day until closing at the water park. We then headed back to the room for a much needed sleep. The next day we unfortunately had to check out of the resort (11 am is checkout time). We were told that we could still use the water park if we wanted, but all of us were just too tired. 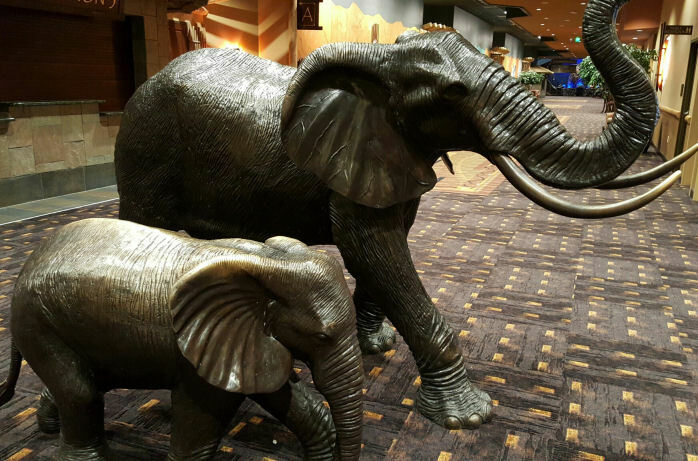 As a family we did agree that we couldn’t wait to come back to Kalahari for another visit. Next time however the water park will be bigger and even better than before. Check out my quick video of Kalahari Resorts PA. Desert room review is where we stayed at, FlowRider in action and photos of artwork. Disclosure: I was provided a complimentary one-night stay and a second night stay at a media rate to facilitate this post. All opinions are honest and my own. That’s just some of our highlights from our fun, but you can have your own family fun, too. If you’re within driving distance to the Pocono Mountains – or are up for a flight! – this is for YOU. 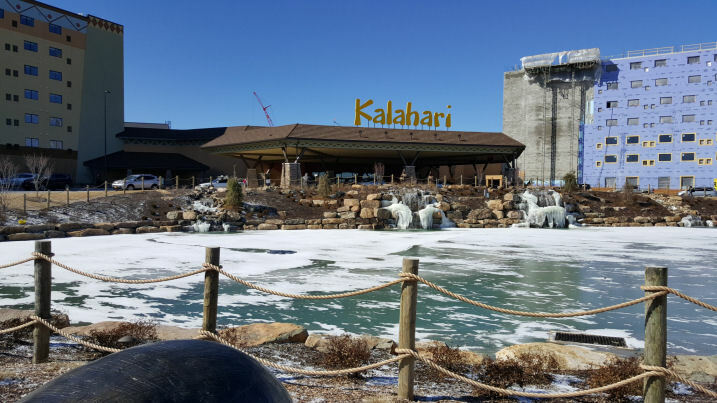 I am beyond excited to announce that Kalahari has graciously offered to giveaway A One-Night stay at Kalahari on Sunday–Thursday to ONE of my lucky reader! The stay in a Desert room as you saw from the video above for up to 6 people. With the water park passes included! Enter through the rafflecopter widget giveaway form here. The contest ends on March 4th. Kalahari is amazing — and the lifeguard staff was exceptional. Glad you had a good time. I would share it with a friend whose family really needs a night away. I am thinking of my son’s friend and her parents and siblings. The mom has a tumor and things are very tense right now. My kids would LOVE to visit!! Would love to take the kids there for a night! Would love to take my family. Its been on our list of places to go. This looks so fun! I would totally take my family there. Thanks for all the great info! I would bring my family – we love the poconos! We need to get away from NY if just for a day! The kids as in my spouse and daughter would love this! I am dying to go to Kalahari! Fingers crossed I win! Thank you for hosting such an awesome giveaway! 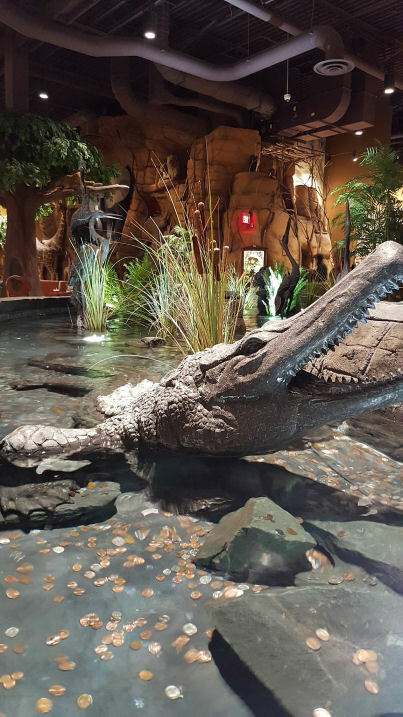 I’ve been dying to visit Kalahari because I’ve heard so many amazing things about it. If I win, I will be bringing my family along. I’d love to try Kalahari! I’d take my family along with my neice 🙂 🙂 I’m in Scranton only about a 45 minute drive to Kalahari!/the Poconos! Looks awesome! Would go with my husband and daughter who would love it! I would love to take my husband and my kids. 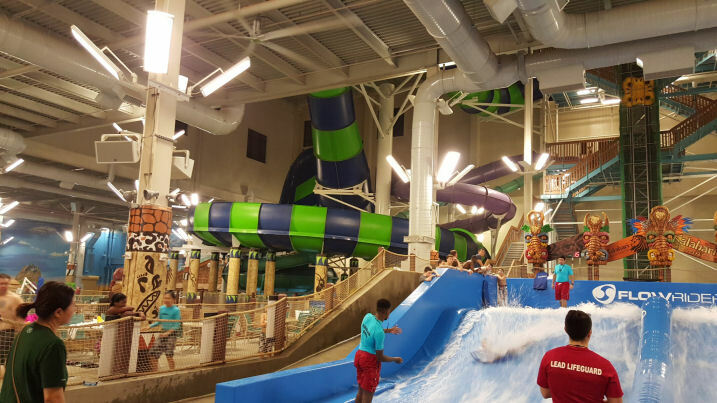 I have ALWAYS wanted to go to an indoor water park and I KNOW that my kids would LOVE it soooooo much!